Cost: R1800 pp incl. refreshments & materials. 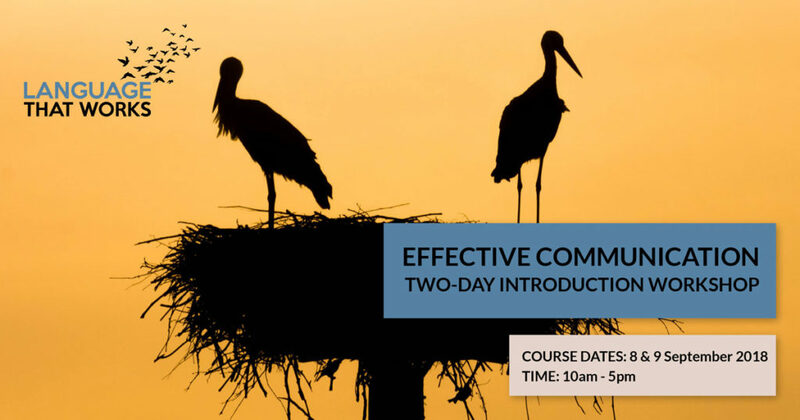 Join Sarah Dekker for a special two-day training based on the time-tested methodology of Nonviolent Communication (NVC). Learn practical tools that enable us to truly listen to ourselves and others to come up with joint solutions that best meet the needs of everyone involved. In an interactive and supportive learning environment, we’ll discover old habits of mind and speech that produce distress and walls of separation, and explore and practice new habits that create compassion, connection, and healing within ourselves and with others. Learn to communicate authentically and effectively with each other, friends, family, neighbors and colleagues. This training is for those new to Nonviolent Communication as well as those who would like to increase their understanding of, and fluency in, the process. Cost of R1800 per person includes course materials, tea, snacks and a vegetarian lunch. 15% discount for NPOs and/or 10% discount for groups of 4 or more. Early bird discounts: 15% if booked by 22 July, 10% if booked by 12 August. Sarah Dekker heads up Language that Works in Cape Town and is trained in Nonviolent Communication and Mediation. Sarah was first introduced and drawn to practicing NVC in 2003 and has actively facilitated practice groups, mediations and workshops in Cape Town and Gauteng since 2012. This entry was posted in events and tagged 2 day, Cape Town, communication, Compassionate Communication, empathy, language that works, non violent, NVC.